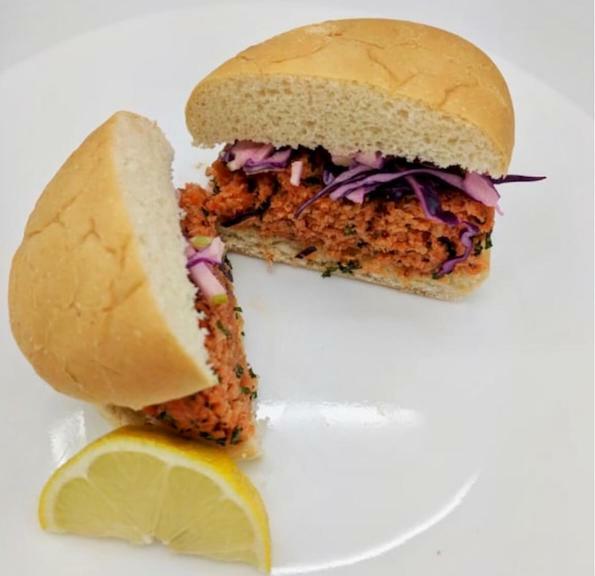 Prime Roots (formerly Terramino Foods) is a food company located in San Leandro, California, founded by Kimberlie Le and Joshua Nixon in 2017 producing a salmon meat substitute made from fungi. Prime roots makes non-GMO meat alternatives, and meat free alternative seafood products, from a protein rich and nutrient dense fungi. The company was founded in 2017 by Kimberlie Le and Joshua Nixon, and is located in San Leandro, California. According to Prime Roots, the fungi they are using to create alternative meat and seafoods naturally mimics valued properties of meat products in taste, texture, and nutrition.